Our facial aesthetic treatments help you feel fresher and rejuvenated. Skin HD believes that everyone has the right to affordable facial aesthetic treatments with a personal touch. Most of us spend money on expensive face creams which have very little effect on turning back the hands of time, or preventing the signs of ageing. The treatments offered by Skin HD are a safe and effective alternative to surgical interventions, and the effects are visible almost immediately. 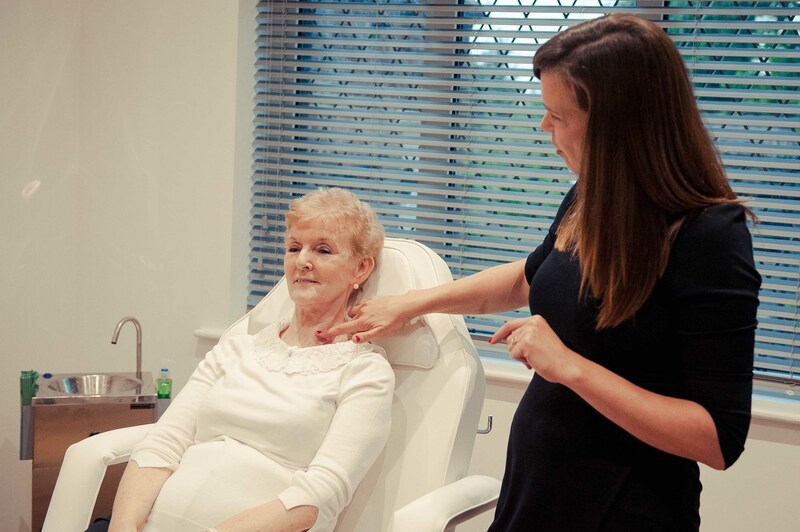 All the treatments are provided at the dedicated Skin HD salon in Chorlton. This treatment involves a small injection into areas of the face to achieve relaxation of muscles, which smooth’s out facial lines and creases. Prices start from £99 for one area of treatment. Dermal fillers are great for regaining lost volume and smoothing away the creases, folds and wrinkles which naturally occur with age. Thread lift treatment can quickly counteract the forces of gravity and signs of ageing by lifting and suspending facial soft tissue. Chemical skin peels help to create a glowing, fresher appearance by exfoliating the top layers of the skin. This helps to increase collagen production and creates a younger, fresher look..
Prices start from £60 for a light peel. Sclerotherapy treatment is used to reduce and remove the unsightly small veins - called thread veins - that can appear on the legs. 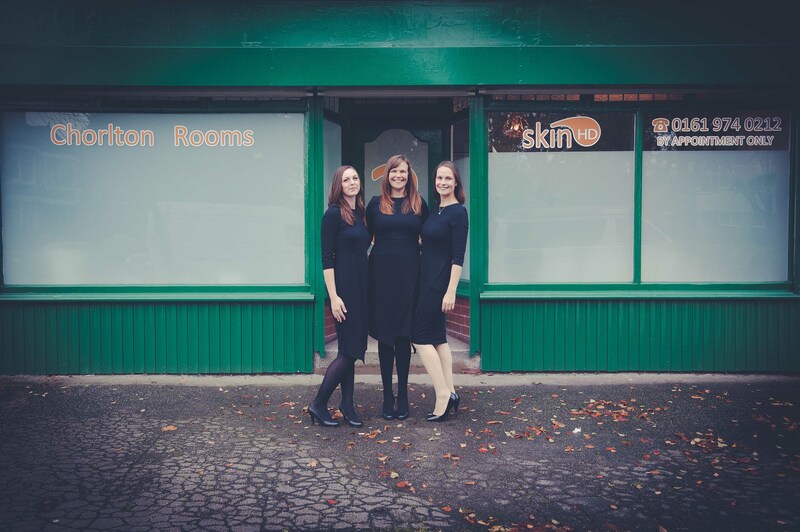 For more information on sclerotherapy or to book an initial consultation, get in touch with Skin HD today. Prices start from £249 for one area of treatment. For more information about our tear trough treatments or to book an initial consultation, get in touch with Skin HD today..
Hyperhidrosis is a very common condition where the patient suffers from excessive sweating which can affect their every day life. Prices start from £350 for one treatment. For more information about our hyperhidrosis treatments or to book an initial consultation, get in touch with Skin HD today..
Profhilo® treatment helps to improve skin tone, hydration, texture and radiance while increasing firmness and elasticity for softer and healthier skin. Prices start from £300 for one treatment. For more information about our Profhilo® treatments or to book an initial consultation, get in touch with Skin HD today..
Sound good? Then get in touch today to arrange your FREE consultation. Helena was really friendly and welcoming. 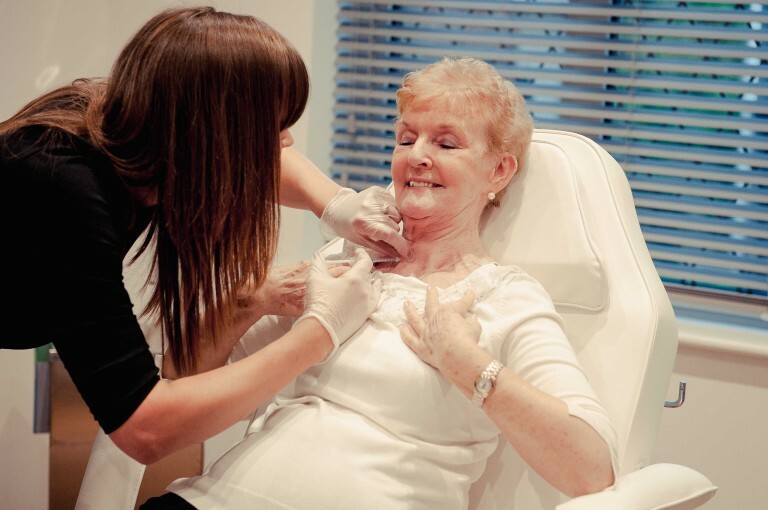 I felt at ease and happy that I was in expert hands as she talked me through the procedure. I felt confident enough to go straight ahead and have the treatment done. I am so pleased that I did. The results are fantastic! So happy I have found an experienced practitioner I can trust and know I will get great results from every time. Feeling and looking a little older than my years I decided to treat myself for my 40th birthday to some help! Helena was recommended to me by a friend & I wasn't disappointed. The procedure is very quick and painless and Helena made me feel relaxed straight away. She explained exactly what she was going to do & talked me through every step. I would strongly recommend her to anyone. The results are natural & makes you look & feel 10 years younger. Thanks Helena! Wow what a find. Helena is amazing and I loved the treatment I had. She is professional, very skilled and incredibly competitively priced. 5 stars richly deserved! Thank you! Recently had lip fillers for the lines above my top lip. After I'd had the procedure I instantly noticed a massive improvement. Three weeks on and I'm thrilled with the results. So happy that something that has been bothering me for years has massively improved. I've been going to Helena for a couple of years now to have other procedures done and I wouldn't hesitate to recommend her. She's so friendly, professional and informative and I wouldn't dream of going anywhere else. Great treatment from an experienced Nurse who cares about what she does and how you feel. Helena's treatment room is beautiful and makes you feel very relaxed. Her manner is professional, yet friendly and caring. I can't recommend her highly enough! Recently I had a wrinkle relaxing treatment with Helena. She is a very experienced practitioner and I'm more than happy with the result. Helena made me feel welcome and comfortable by her friendly personality and a beautiful smile. I can't recommend her enough!! Helena is very experienced obviously knows what she is doing. I had wrinkle relaxing injections and filler. I did bruise but had expected to as I bruise very easily. The results were very natural and far better than I expected. Its not my first time having these treatments, but it certainly is the best result. Price wise she is very competitive and her treatment room is lovely. Will definitely be going again.